Amazon, the world’s biggest online retailer, boasts about its program, Amazon Smile, that allows shoppers to donate 0.5% of their purchases to the charity of their choice. That’s great, except that right now among their list of charities is a Glasgow church belonging to Mountain of Fire and Miracles Ministries, an anti-gay outfit that promotes “ex-gay” therapy. You might’ve heard of Mountain of Fire and Miracles Ministries. Last year, they made the news because of their Liverpool church’s three-day program to “cure” people of homosexuality. The program involves “relentless” prayer sessions lasting three hours each and absolute fasting with no water or food for 72 hours, a torturous and dangerous regimen. The ministry’s Glasgow church is currently under investigation by the UK’s Charity Commission, the government group that oversees the region’s charities, over “failure to promptly report serious incidents to the commission and to the police” and a lack of proper oversight by its founders. According to the UK paper, The Times, Amazon Smiles also benefits the Muslim Research and Development Foundation, a nice-sounding organization whose founder supports “female genital mutilation, child marriage and stoning people to death for adultery.” Yeesh. 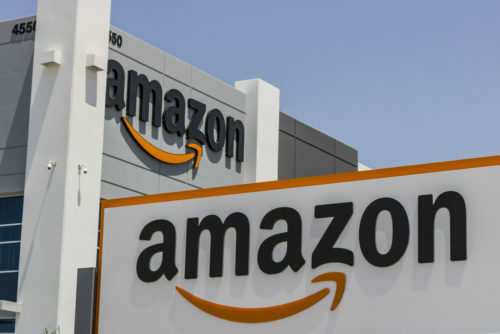 Amazon has pledged to look deeper into the ministry to determine whether it is still eligible for the Smile program. Amazon’s CEO Jeff Bezos, the world’s richest man, is a staunch LGBTQ ally who has donated to marriage equality and other causes. However, like other digital and technology-driven companies, it has struggled with automated services that sometimes promote anti-gay propaganda. Although the company offers massive amounts of top quality LGBTQ programming through Amazon Prime video streaming service, from time to time it has come under fire for mistakenly allowed anti-LGBTQ books to be featured on Amazon Books LGBTQ section before being removed.